HALF READ AND OH SO HOOKED….fully read now. Here’s what I will write when I have finished this book: YOU DON’T HAVE TO BE A VAMPIRE, GHOST, WITCH, DYSTOPIAN OR SUPER HEROINE TO BE AN ABSOLUTELY ASTONISHING BOOK CHARACTER…. Why would I say such a thing. Well, you know, all those ‘book hooks’ out there. 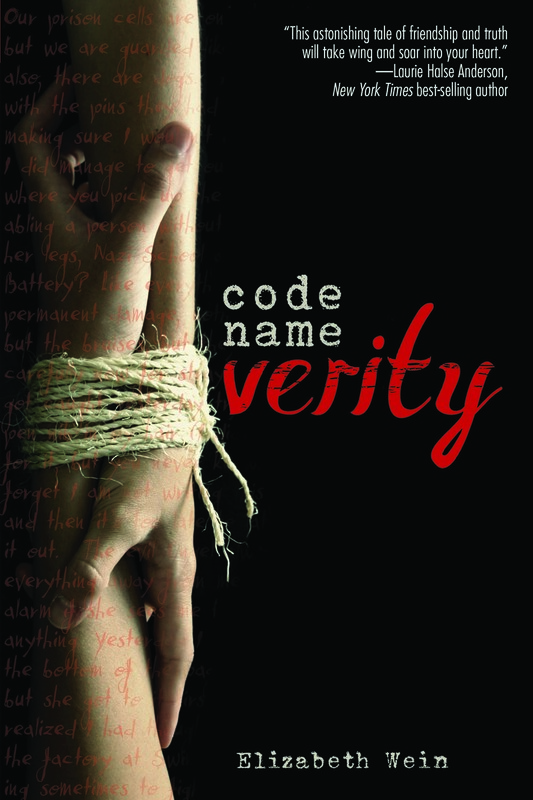 Code Name Verity by Elizabeth Wein has some of the best writing and characters – even though there are really only TWO truly ‘main characters with sub-characters who are still strong. It is a story of WWII and a young woman who is being interrogated by the Gestapo as a spy. What will she give up? Her best friend? A nation’s secrets? Loving it and will read this one and enjoy it as much as that really good cup of coffee…to the last drop. So, the book was finished. And I did not suspect the very dramatic event that happened. This story could satisfy a male reader, a female reader, a reader of adventures, a reader of impossible situations, a reader of historical fiction, a reader of lives unknown but for a war that shows up on their doorstep. It’s a multi-tasking story. There are two books of recent that endings brought a choke to my throat: the final book of the Bartimaeus Trilogy, “Ptolemy’s Gate” and “Code Name Verity.” I loved reading about the author as well, a flyer in her own right. Highly recommend this title for its solid story, literary finesse and an unraveling of tension that keeps you reading on and on until the end. 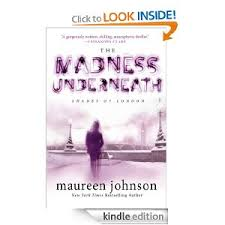 Maureen Johnson’s The Madness Underneath is the second in the Shades of London series. The first book, The Name of the Star, was reviewed earlier on this blog. The best part of this series – one of the best parts – is the setting, London, England. The pretext is a clandestine British ‘police’ squad whose ‘beat’ is ghosts who cause trouble. Big trouble like murders. Rory Devereaux, late of New Orleans (another top spot for ghosts), attends school in London and previously has become a ‘terminus’ for ghosts meaning she can destroy them with a touch of her hand. There is a lot of background to know if you are going to read this second book. The writing is good. Characters are valid though some are stronger than others and the storyline is – to me – so enticing. I admit after reading this one, I felt it was more of a vehicle for the next in the series than a strong story as the first book. Nevertheless, wow. And the ending is one of those that leave you going ‘What! Oh, the tragedy…’ but not in a bad way. Rory can get rather irritating and is definitely self-centered but she’s a character becoming, each confrontation with the unseen affects her life with real people and integrates into her character’s moral mirror. Highly recommend this one for the writing and for readers who like spooky; snappy; strong feminine and masculine characters and the thought of another book coming along. Try it. Well, poetry – the writing, the reading, the speaking – doesn’t pop up on your IPhone that much. Beats me because there ARE poets who are terribly techie and there is the old-fashioned kind of paper and pencil, notebook, scratch paper poet, too. 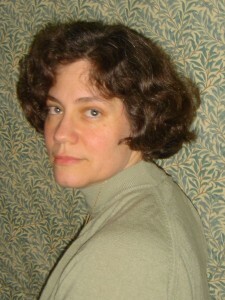 A wonderful opportunity to work with a premier contemporary poet, Christine Ernst, is going to be re-scheduled. 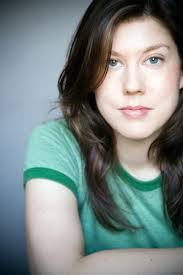 While re-appointing Sunday’s Teen Poet workshop is good, it was disappointing to not have you teen poets beating down the doors for a FREE workshop with Christine. The empty afternoon allowed me to fill up with the Poetry Out Loud Competition held at the CC Cultural Center. Full house, 16 teen recitation poets and oh so good listening. Re-affirmation: Real Poetry is meant to be read and spoken aloud. That’s aLOUD. So the afternoon listening to poems by Carl Sandburg, Elisabeth Bishop, John Keats, John Donne and others was just fine. I just want to hear some LOCAL TEEN POETS, too. What’s with Sandwich? 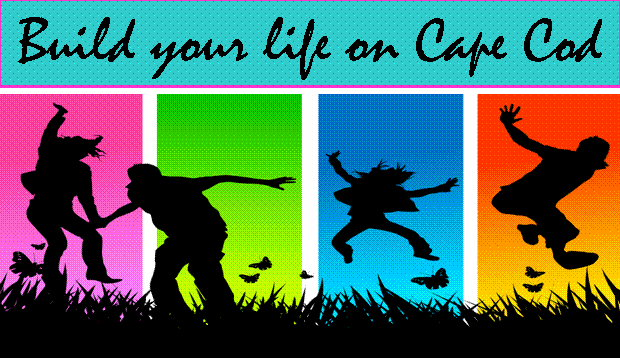 At any rate CC Cultural Center is hosting their Poetry Slam on April 16th. I’ll keep you posted. Be brave. Be a Poet. 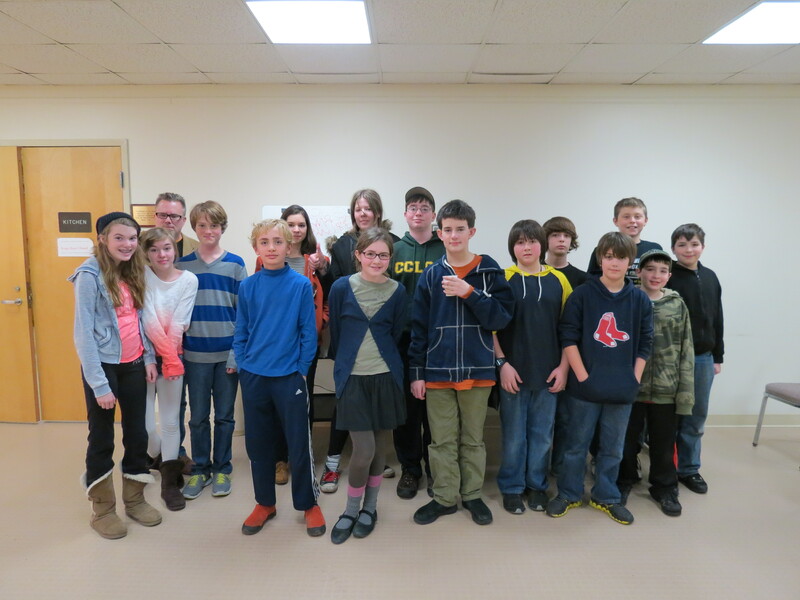 GREAT GROUP! Thank you. It’s always a pleasure to host Andy & Veronica Fish. 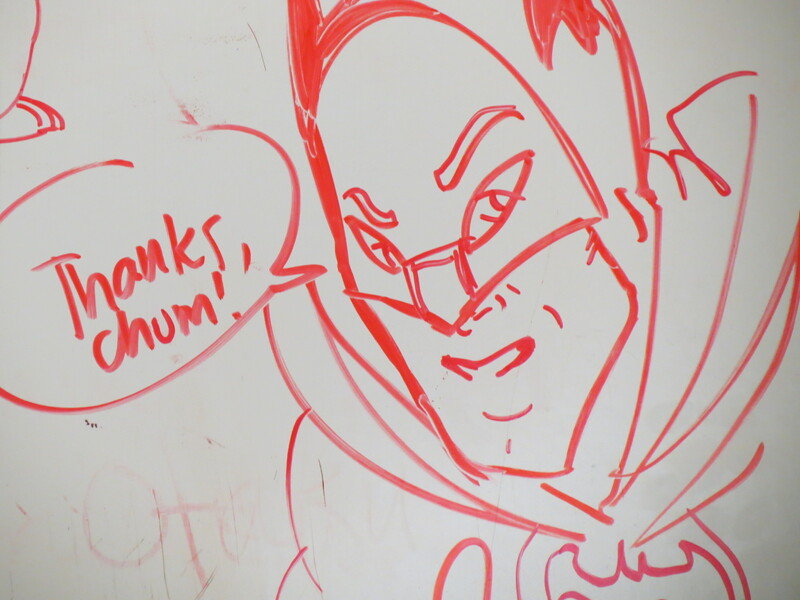 So 15 comic art afficionados were sent out to do the world good on Saturday…I learned something, too, about drawing hands. Oh, the tricks of the trade are marvelous. Hope to do this again with a longer workshop. Now, if you are reading this and enjoy the comic arts, go do something about it. More photos under events and people.